Jabez Albert Jones was the son of Jabez and Emma Jones, White Lion, and husband of Elizabeth Jones (nee Latham), 148 Dingle Lane, Winsford, Cheshire. We regret to report that Private J.A. Jones, 1st Cheshires, son of Mrs. Jones, White Lion Hotel, Buckley, has died in Hoole Military Hospital, Chester. The deceased soldier was 29 years of age, and was married. He became ill whilst awaiting his discharge at the Chester Depot. From a report in the County Herald March 9, 1917 we know that Jabez Albert had been wounded in 1917. Buckley Former Bus Conductor injured. News has been received by Mrs Jones of the White Lion Inn to the effect that her son Jabez Albert Jones has been wounded. This report which is from an army chaplain states that Private Jones is injured on the face & in the right arm & hand. The many friends of Private Jones will regret to hear the sad news. He was much respected in the district & was well-known as one of the conductors on the North West Railway buses running between Mold & Buckley. He is the brother in law of R. Peters hairdresser of Buckley. Jabez Jones of the White Lion Hotel, Bistre who died March 4 1901 aged 53 years. 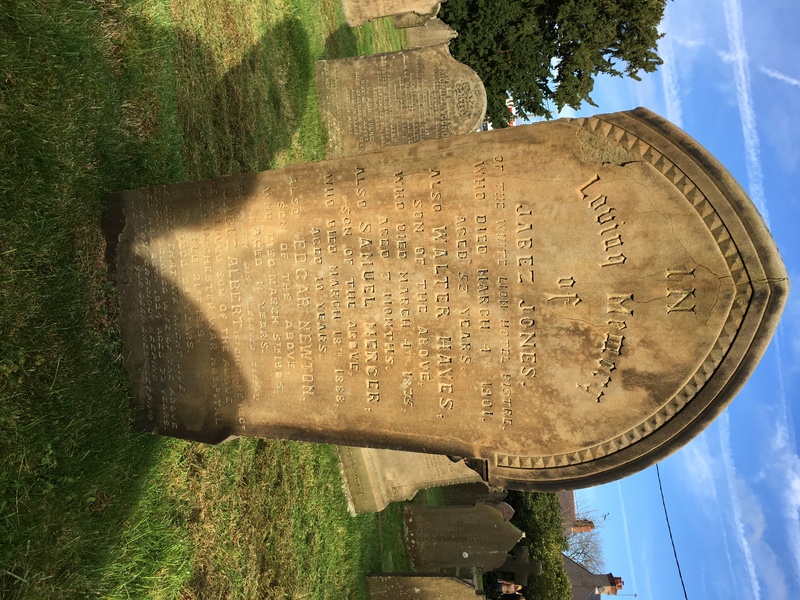 From census records Jabez and Emma had 12 children including Elizabeth, John, Eliza, Edith, Florence, and Gertrude – as well as Jabez and those named on the gravestone.